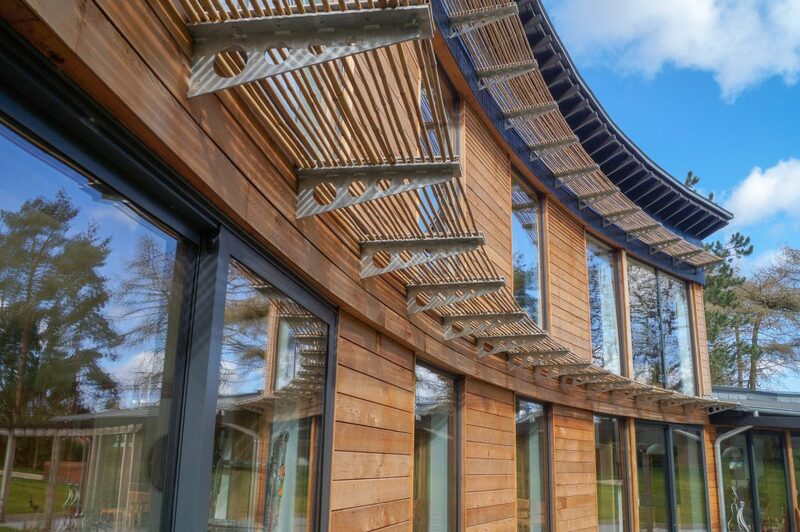 This June sees another of our popular open house events taking place at an unusual, contemporary and curved oak frame home. 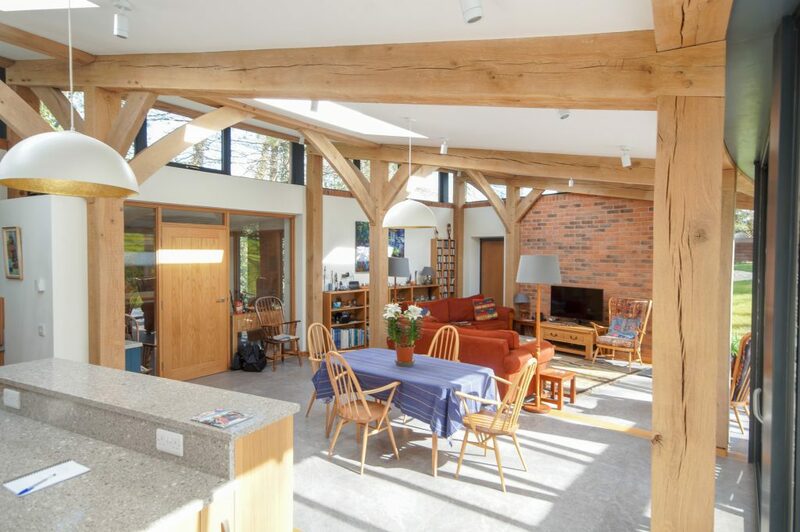 Thanks to the kind support of homeowners Chris and Stephanie, it is a great opportunity to see an oak frame up close and talk to the self-building couple and the Carpenter Oak team. 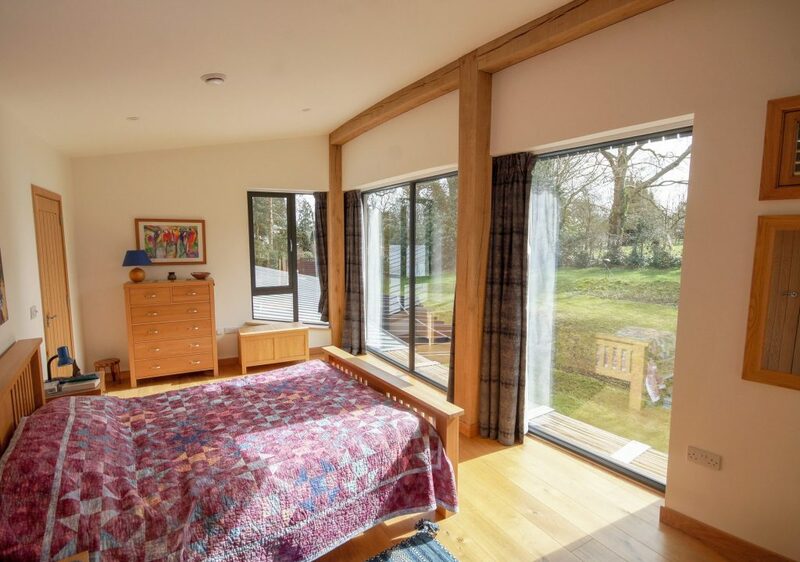 Many of our current clients have started their Carpenter Oak journey through these events, including Chris and Stephanie themselves, who took great inspiration from another of our projects, Cranham Lodge. 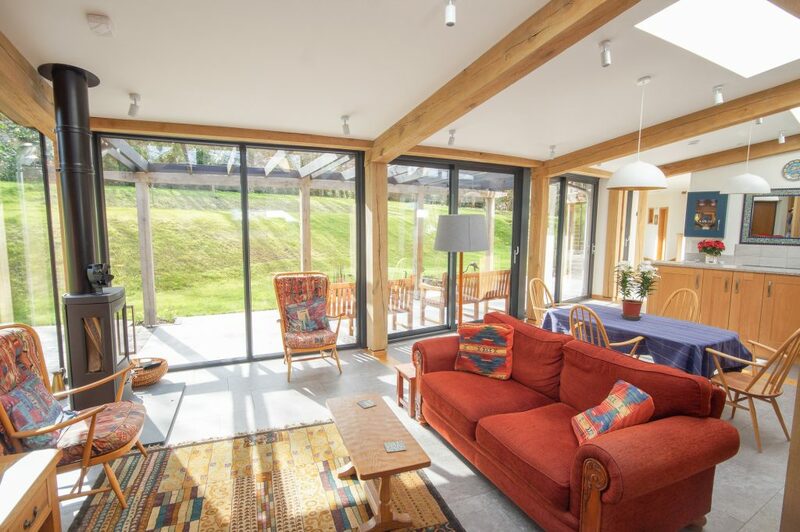 If you have a project in mind and want to find out how we can help, bring along your drawings, shetches and photos so that you can make the most of your time with us. 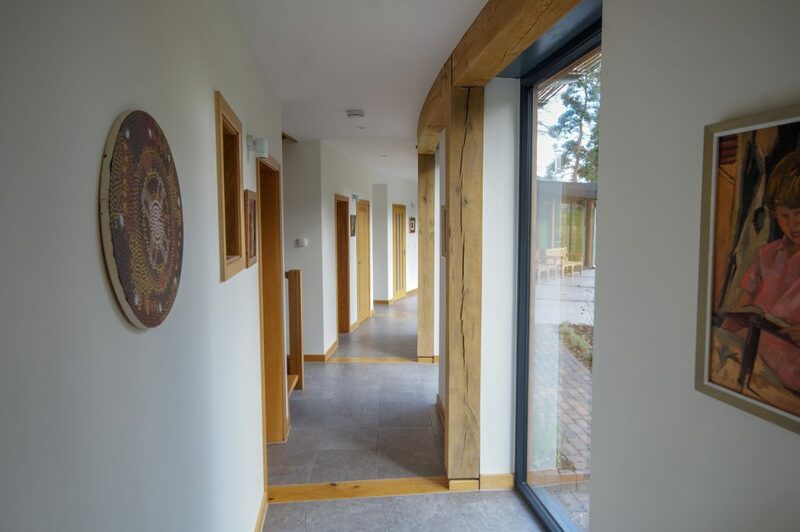 Booking is essential, so that we can stagger appointments through the days and give everyone a chance to tour the building and speak to Chris and Stephanie too. See more photos and find out more about the project in our case study. 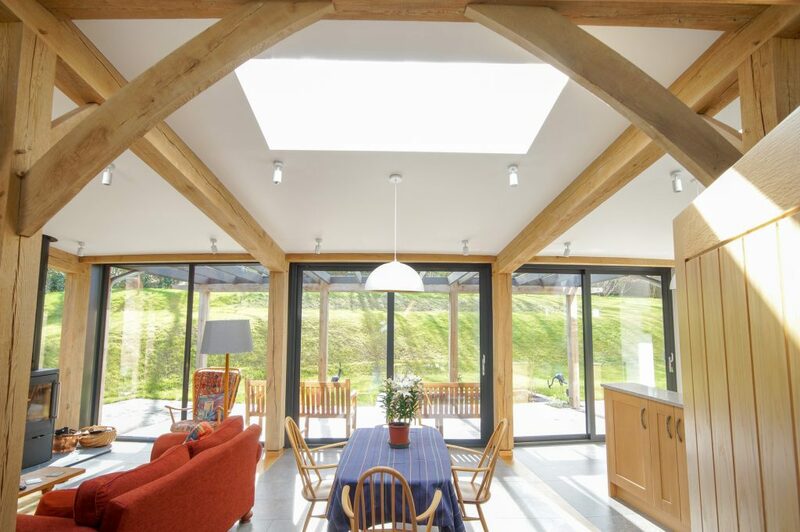 Building an oak frame home in conjunction with softwood timber panels.